Sharply, assertively Chardonnay, but not aggressive. 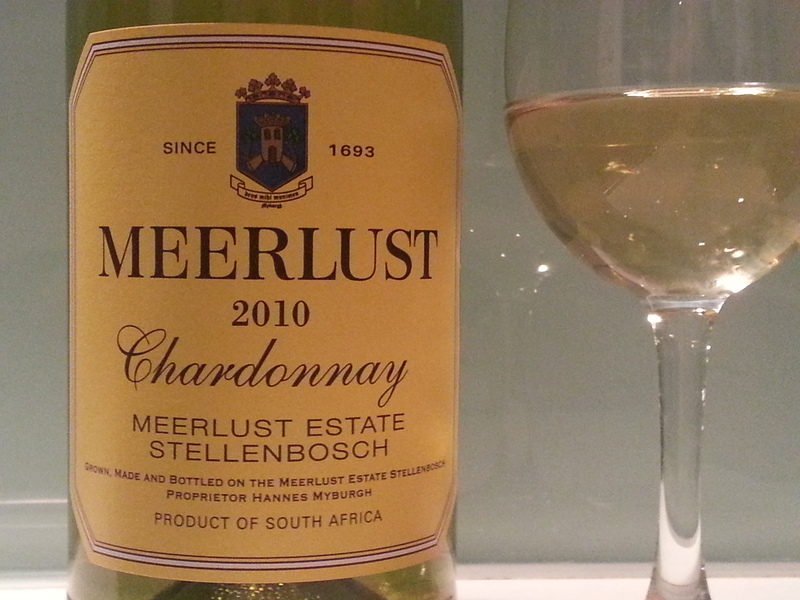 Meerlust churns out some wonderful wines, most memorably their red Rubicon, but alas they are hard to find in BC. For me this white is broad, generous, pear, dry earth, some subtle floral notes, bone dry, and a finish that is equal parts the proverbial dry stones with the proverbial buttery cream. And long; a delightfully long finish, particularly good for sipping and making a glass go longer. Price: 16 pounds sterling (or roughly $27 CDN which isn’t entirely relevant since the UK VAT and BC liquor taxes are chalk and cheese).